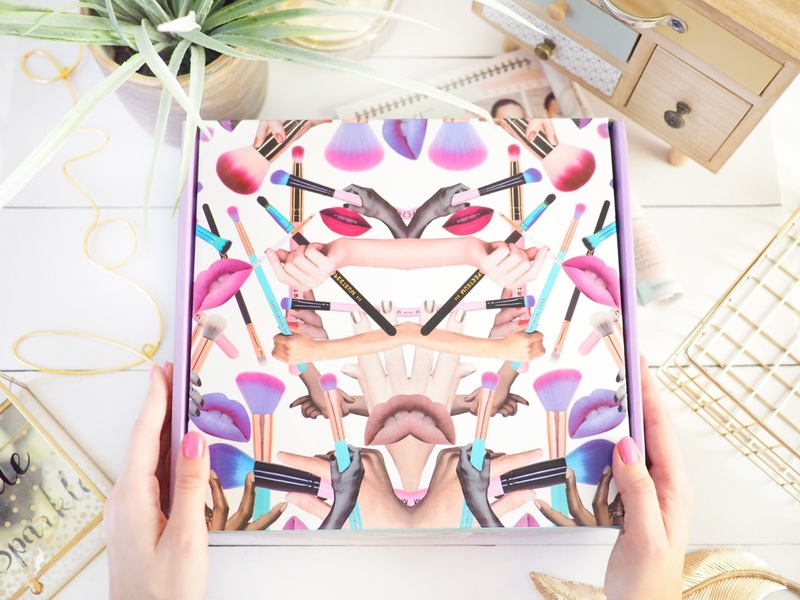 Okay, I’m not going to lie… I got the Spectrum Glam Clam because quite honestly, it is the prettiest brush set out there. I’m pretty sure we can all agree on that, can’t we!? There’s not many brushes that beat the Spectrum ones, but there are even fewer Brush Sets that will even come close to the Glam Clam. Especially when you combine their high quality and sheer beauty together! I treated myself to the Glam Clam as a Christmas gift (the ones we get for ourselves are the best aren’t they?!) 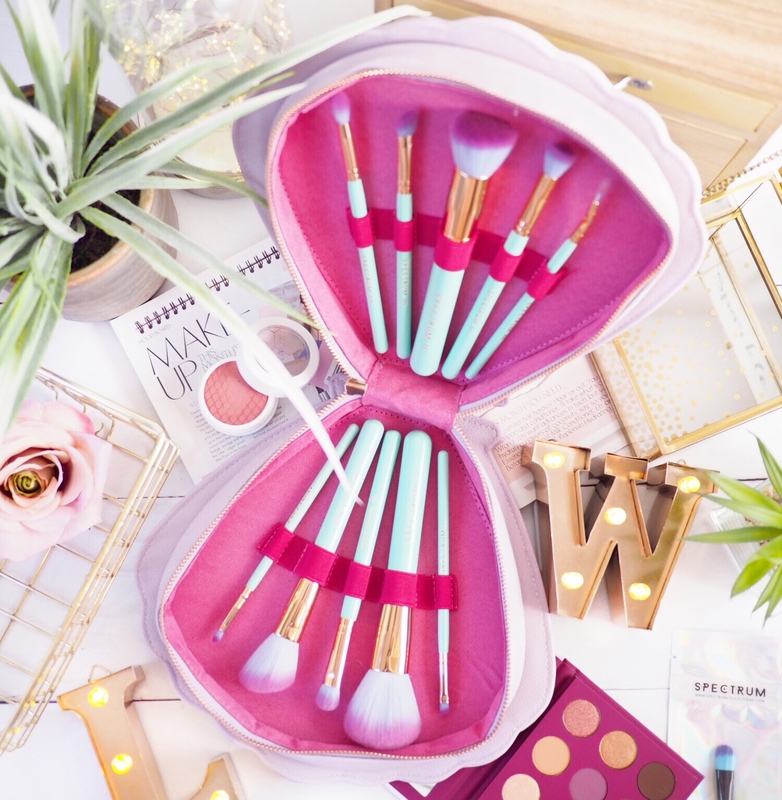 I did this because I’ve wanted the set for ages and just kept asking for it for birthday’s and Christmas pressies etc but my family must have missed the memo…so I just treated myself to the set instead and I was absolutely thrilled with them! I don’t often comment on packaging, because to me, it’s kinda irrelevant. But the packaging that my Spectrum order came in was beautiful! So beautiful that in fact, I don’t think I can throw it away. Ever. I even featured it on Instagram because you know, why not share pretty things with the whole world?! So yes, even the packaging got a thumbs up from me. Opening it was like Christmas morning all over again. In the same order, I had purchased the Glam Clam and two eye brushes as well. Mostly because I use a lot of eye brushes and can never have too many, but also because they had a Boxing Day sale on individual brushes so they were only a few pounds each – bargain. 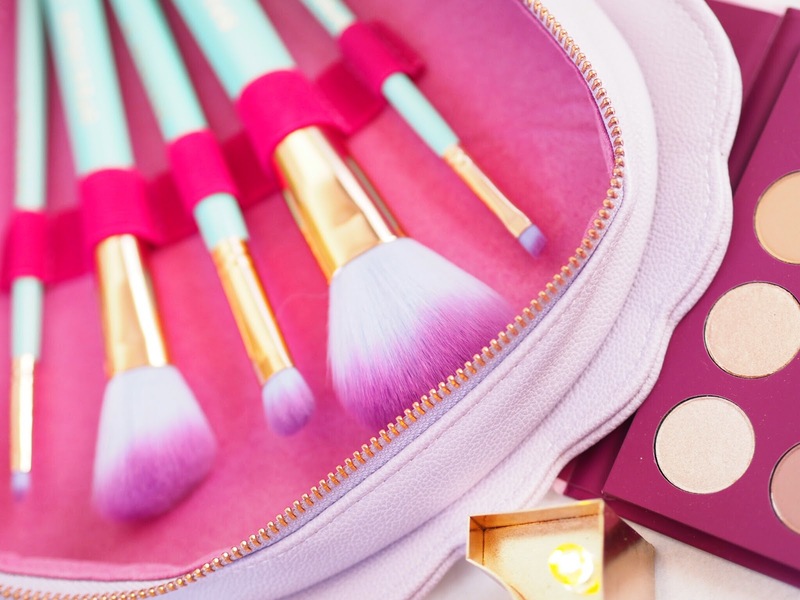 The Glam Clam itself has ten individual brushes inside a zip-up pouch (the Glam Clam!) 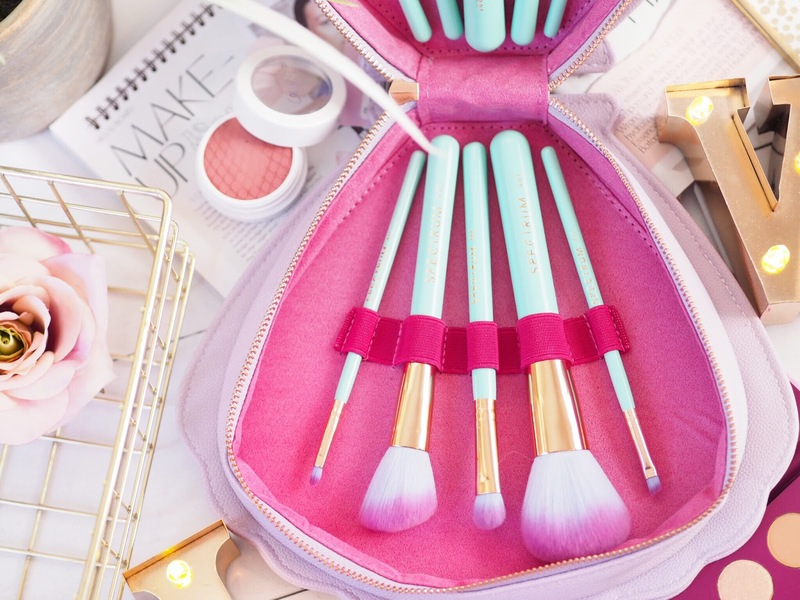 Other than this set being stunning to look at, it’s actually a really good and useful mix of brushes for face, eyes and lips. I like to mix and match my brushes, and quite often use them for different things than they’re intended, so size-wise, the variation in this set is good value for money. You’ve got big fluffy brushes with lots of bristles and smaller brushes for definition. At £59.99 it works out at £5.99 approx per brush, which is great value considering the versatility in the set. To be honest the only slight negative I have with this set, isn’t even a negative! One of the brushes is for eyeliner, it’s the angled version and very thin. As someone who doesn’t wear winged eyeliner and applies with a felt style applicatior, this is the only brush I’m unlikely to use. But I’ll keep it just in case. Other than that, I can’t fault anything with the set. 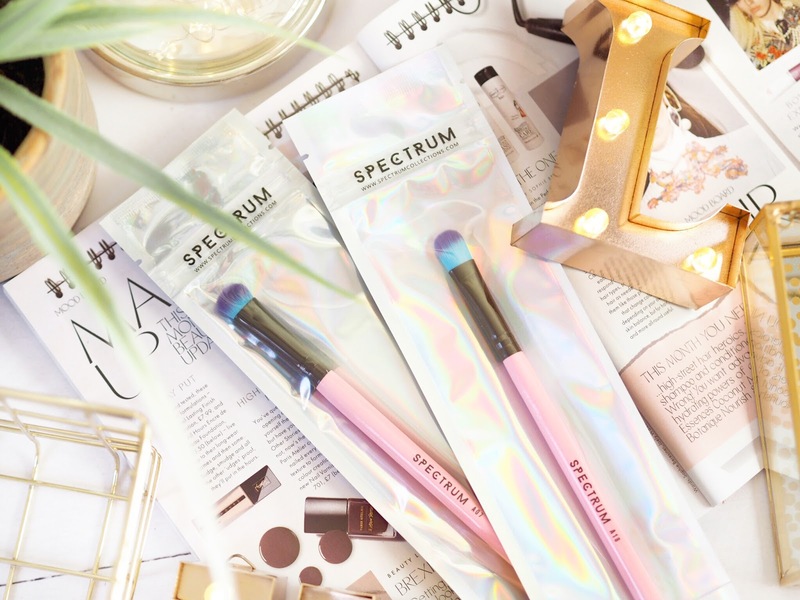 The Spectrum brushes are always some of the best to use – their quality is top notch. The bristles on the brushes are soft and gentle to the skin and I find they hold products well, without adding to potential fall out. They’re also really easy to clean, and as long as you wash them every few weeks then you’ll find it easy to retain the cute colours. 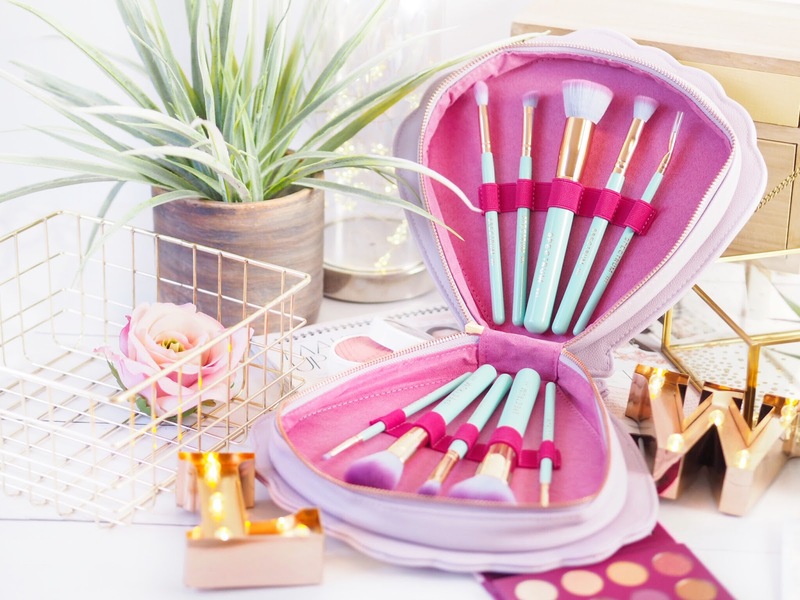 Plus as a vegan and cruelty free brand, everyone can enjoy these brushes. 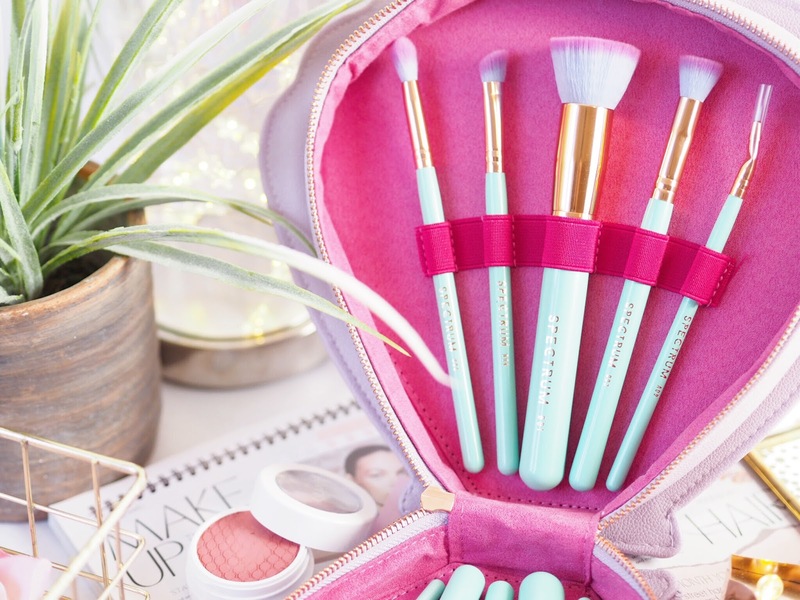 So, yes, the spectrum Glam Clam is indeed the prettiest brush set out there.